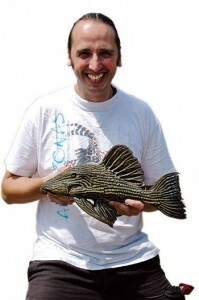 In 2005, noted German natural-history publisher Matthias Schmidt invited freshwater aquarist and tropical adventurer Hans-Georg Evers, below, to join with him in creating a new and very distinctive aquarium magazine dedicated to freshwater and brackish water species and systems. They set out to combine hands-on, cutting-edge aquarium advice with definitive and lavishly illustrated reports on fishes, invertebrates, and aquatic plants, field trips to tropical destinations, and the latest in husbandry and breeding breakthroughs by expert aquarists from around the globe. With the guidance and involvement of a team of pioneering freshwater aquarists and international aquatic scientists, AMAZONAS Magazine was launched by Matthias’ highly respected publishing house Natur und Tier-Verlag (NTV) in Muenster, Germany. In its first six years, the magazine won accolades and enduring respect for the quality of its content, its production values, and its ability to bring together as contributors the leading aquarists and tropical aquatic biology experts from Europe, North America, Latin America, Africa, Asia, Australia, and many other far-flung places. 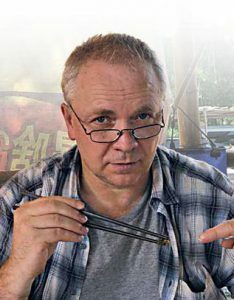 As Editor of AMAZONAS, Hans-Georg Evers, developed a worldwide following among both aquarium enthusiasts and tropical fish breeders and researchers. He makes frequent trips to tropics for field trips with local collectors and scientists to visit the source waters for aquatic species that make their way into the freshwater aquarium trade. World’s leading freshwater-only aquarium magazine, read in more than 100 countries. Launching with the January/February 2012 issue, the English-language edition of AMAZONAS: Freshwater Aquariums & Tropical Discovery appeared and rapidly attracted subscribers in more than 100 countries and distributors in the United States, Canada, the United Kingdom, South Africa, Australia, and New Zealand. 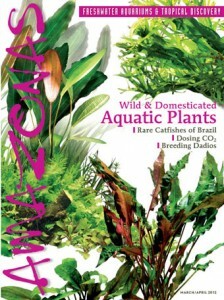 The English-language AMAZONAS was published by Reef to Rainforest Media, LLC, a Vermont, USA-based company founded by four aquarists and aquarium professionals, including Editor & Publisher James M. Lawrence, who serves a similar role in publishing CORAL, The Reef & Marine Aquarium Magazine. In his role with MICROCOSM, Ltd., Lawrence has worked with many respected aquarium authors and photographers to produce a library of award-winning books, including a number of aquarium bestsellers. Friedrich Bitter, AMAZONAS Editor-In-Chief starting in 2018. 2018 was a year of change for AMAZONAS both in Germany and the US. After 75 issues, Founding Editor Hans-George Evers decided to step back from leadership of AMAZONAS. Mathias Schmidt’s chosen successor is the new Editor-In-Cheif Freidrich Bitter, another enthusiastic aquarist with decades of aquatic travel and aquarium experience to his credit. Coinciding with this change, starting in late spring, 2018, Vermont-based Reef To Rainforest Media entered discussions with past and present AMAZONAS staff members about the possibility of continuing the publication of the English AMAZONAS with new leadership here in the US. The revised publishing team now consists of Stephan M. Tanner, Ph.D. (former Translator and Sr. Editor), Michael J. Tuccinardi (Sr. Editor and Associate Publisher), and Matthew W. Pedersen (Sr. Editor and Associate Publisher), under the new publishing company Aquatic Media Press, LLC (AMP), based in Rochester, Minnesota. AMAZONAS Publisher Stephan M. Tanner, Ph.D. and Executive Editor Ann Whitman. 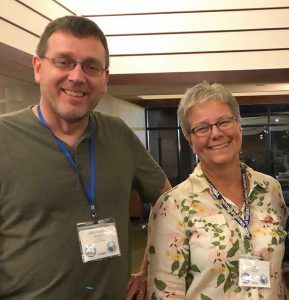 The AMP team was thrilled to find a successor for Lawrence in another Vermont-based aquarist with decades of editorial experience, the current Executive Editor Ann Whitman. AMP also sought to expand the core of Editors-At-Large, our extended family of world-renowned expert aquarists now includes Eric Bodrock, Gary Elson, Hans-Georg Evers, Dr. Tim Hovanec, Ted Judy, Ad Konings, Gary Lange, Dr. Paul V. Loiselle, Oliver Lucanus, Ingo Seidel, and Greg Steeves. The new team’s inaugural issue was the September/October 2018 edition. You can find the current makeup of the full AMAZONAS Magazine team on our Masthead page. Other than some changes in leadership, the same core team of talented staffers continues to work behind the scenes to ensure that each new issue lives up to the promise and expectation of what AMAZONAS Magazine has come to be for its devoted fans.